Are you looking for good communication quotes to share with friends and loved ones? These sayings about human interactions and its importance in different aspects of life provide some valuable insights. They say that improving your communication skills can have a positive impact on almost all aspects of your life. Your personal and professional life depends a lot on how effectively you can present yourself and your thinking. 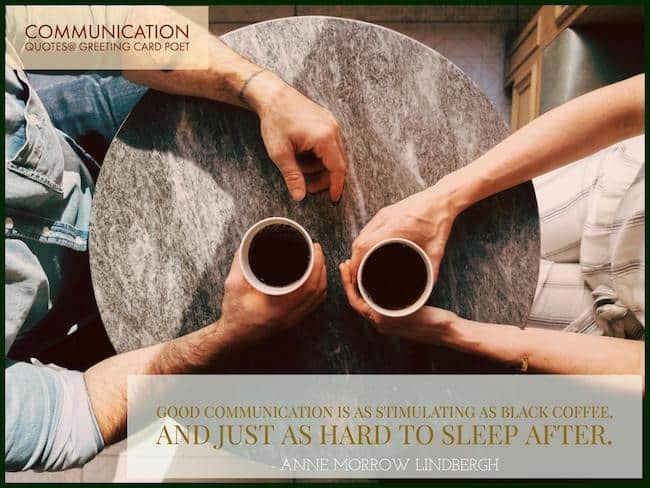 Share these good communication quotes with others or refer them often to realize the importance of this simple aspect of your life. Communication is the solvent of all problems, therefore communication skills are the foundation for personal development. Communication is the fuel that keeps the fire of your relationship burning, without it, your relationship goes cold. Having not said anything the first time, it was somehow even more difficult to broach the subject the second time around. When you give yourself permission to communicate what matters to you in every situation you will have peace despite rejection or disapproval. 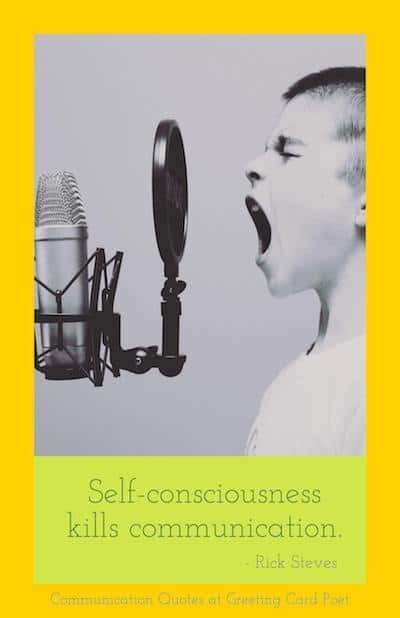 Putting a voice to your soul helps you to let go of the negative energy of fear and regret. An open ear is the only believable sign of an open heart. So the whole war is because we can’t talk to each other. If you’re both in the same mind-set and you want to be together and you want to make it work, you can make it work. It just takes dedication and knowing that there might be some miscommunication and lack of communication sometimes. A lack of communication leaves fear and doubt. Lack of communication, the refusal of some to understand, or outright refusal to learn about other human beings is based on fear. Fear is what keeps people apart. Never underestimate the empowering effect of human connection. Cherish your human connections: your relationships with friends and family. Everyone always wants new things. Everybody likes new inventions, new technology. People will never be replaced by machines. In the end, life and business are about human connections. What I value is the naked contact of a mind. I said there are at least two kinds of satisfaction, however, and the other has nothing to do with skill. It comes from human connection. It comes from making others happy, understanding them, loving them. Human connection is the way things work. It’s like a patronage system. You know somebody, and he knows somebody, and he knows somebody, and he knows the district governor, and its okay. Selling – at its core – is not a business transaction. It is first and foremost the forging of a human connection. You have to make a space in your heart, in your mind and in your life itself for authentic human connection. Deep human connection is … the purpose and the result of a meaningful life – and it will inspire the most amazing acts of love, generosity, and humanity. What most interests me is human connection, whether it’s on the street, in community, through music, storytelling, and shared experience.